L.B. Plastics provides cost effective solutions for outdoor signage made from durable, UV resistant vinyl. 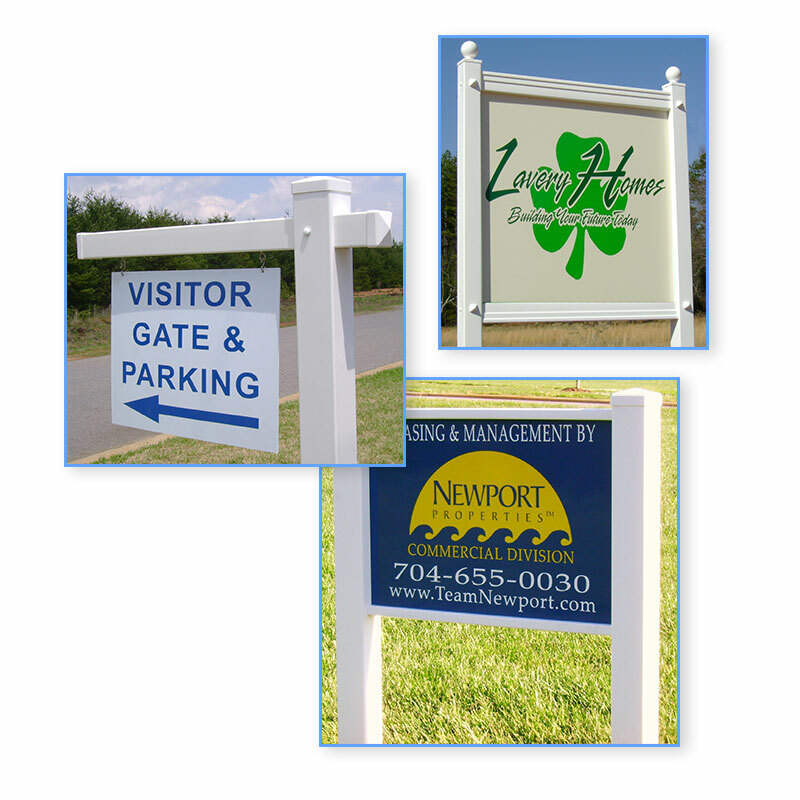 Designed and engineered for quick and easy assembly and installation, our products provide beauty and detail to any sign application you may have. These tools will give you the most out of your sign project at surprisingly low costs. Can't find what you're looking for? We can still help you. We are a fully functional fabrication shop equipped with high speed CNC routers built for unlimited design ideas. If you feel you have idea of what makes a good sign frame, we want to hear from you. Do you have a specific look they are trying to achieve? Can't find the size you need? Although we offer a wide range of sizes in the Classic, Hallmark and Prestige Frames, we will gladly fabricate a sign frame specially made to fit your design. Contact us with your idea and our design team may be able to turn it into reality. Note: There may be several factors that determine the best solution for your sign frame. Wind load, soil consistency, sign size, and installation method are just a few important things to consider when planning your sign specs. Our abilities to build custom frames are bound by the availability and properties of materials being used and the mechanical limitations of our equipment. Any custom frame or custom size we create may be subject to adverse conditions or circumstances beyond our control, therefore, the customer's specifications are all that will be warranted.